These have all the benefits of a microfiber dust mop without having to replace standard handles and frames. These poly/canvas backed mops attract and hold dust that cotton mops leave behind. They also have a Velcro backing. 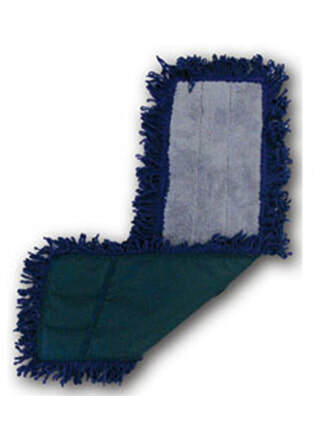 These mops are available in several color codes sizes. 24" - 36" - 60"